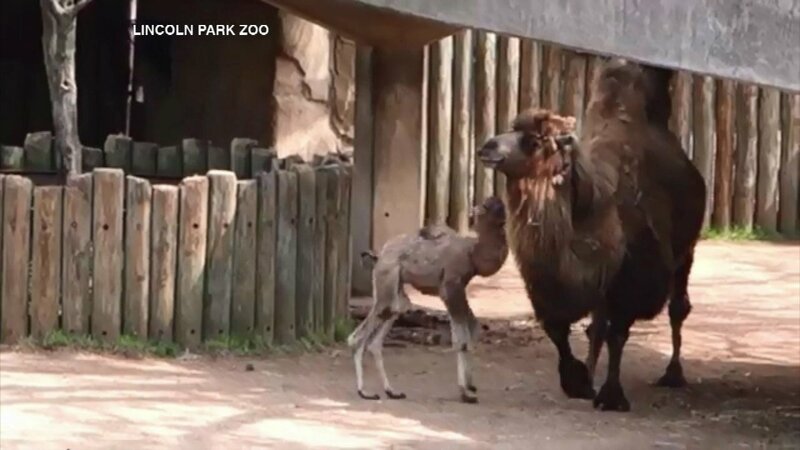 CHICAGO (WLS) -- Meet the Lincoln Park Zoo's newest camel. The Bactrian camel calf was born May 9, and is the first successful camel calf born at the zoo in 18 years. He was a whopping four feet tall at birth. The calf will eventually grow another three feet, and weigh around 1,500 lbs. You can see the unnamed calf and four other Bactrian camels in the antelope-zebra area of the zoo.